Update – Barnum & Celillo Electric Completes the Amazon Expansion at the Tracy Fulfillment Center | Barnum & Celillo Electric, Inc.Barnum & Celillo Electric, Inc.
October 2014 – Barnum & Celillo Electric is proud to announce the completion of the Amazon Fulfillment Center Expansion Project. With the exceptional team put together by Big-D Pacific Builders we were able to complete this scope of work in 180 days. The work entailed the removal of the walls at the North end of the building allowing for the addition of 150,000 square feet to the building’s base footprint. 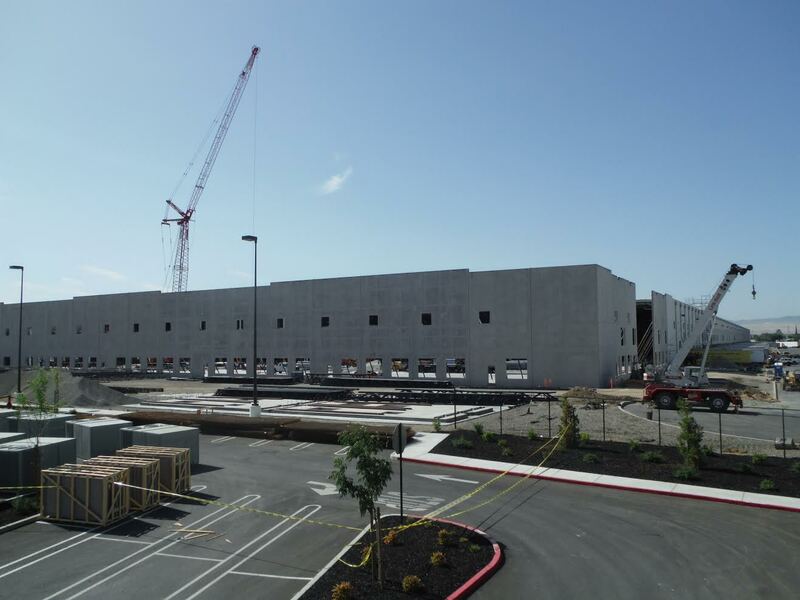 This project provided Amazon with 800,000 square feet of floor space, which required over 2,000 light fixtures and a fifth 4000 amp Building Service. This amazing team completed everything on time, yet again. This expansion will now allow Amazon to process double the number of orders it was capable of fulfilling just one month ago.